Grow your Halloween Town with Diamond Select's latest series of The Nightmare Before Christmas action figures! The Pumpkin King has returned to scare you right out of your pants with this highly detailed figure. This amazing figure is sculpted in an approximately 7-inch scale and comes with multiple points of articulation. True to Diamond Select's line, this figure includes a diorama piece of the Halloween Town central fountain! 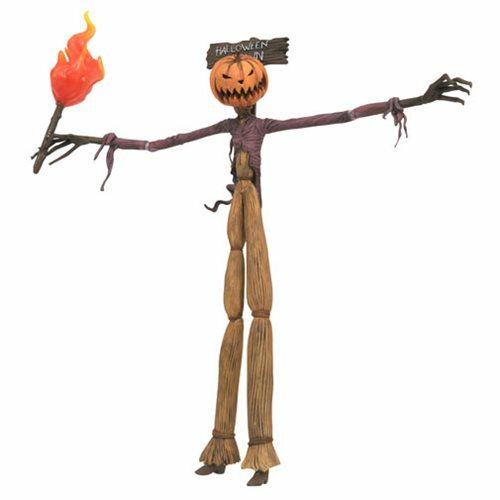 Enjoy Halloween everyday with this Nightmare Before Christmas Select Series 3 Pumpkin King Jack Action Figure. Ages 8 and up.